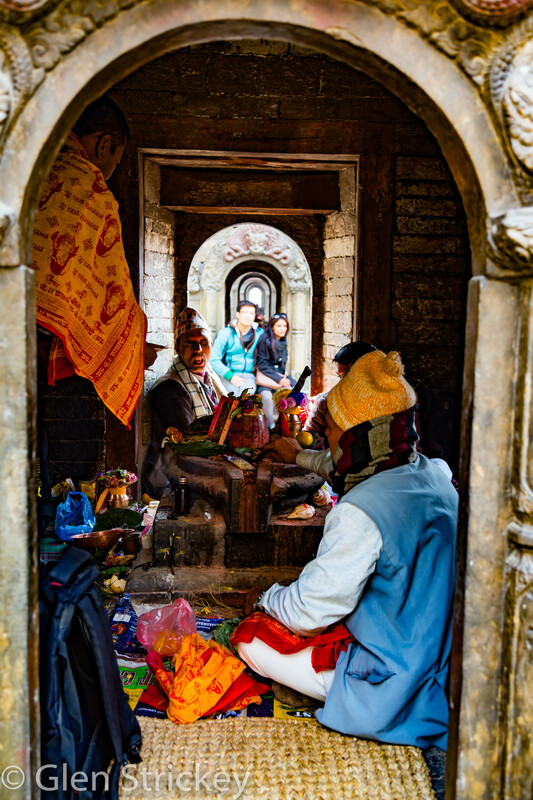 We are blogging to share our experiences and offer any tips for people traveling to Nepal, and other countries in South East Asia (Thailand, Japan, Taiwan, Hong Kong, Vietnam, Cambodia, Malaysia is our plan). The first travel days had us whizzing between winter storms to get out of PEI, Canada, leaving behind the 60-100 cm of new snow. 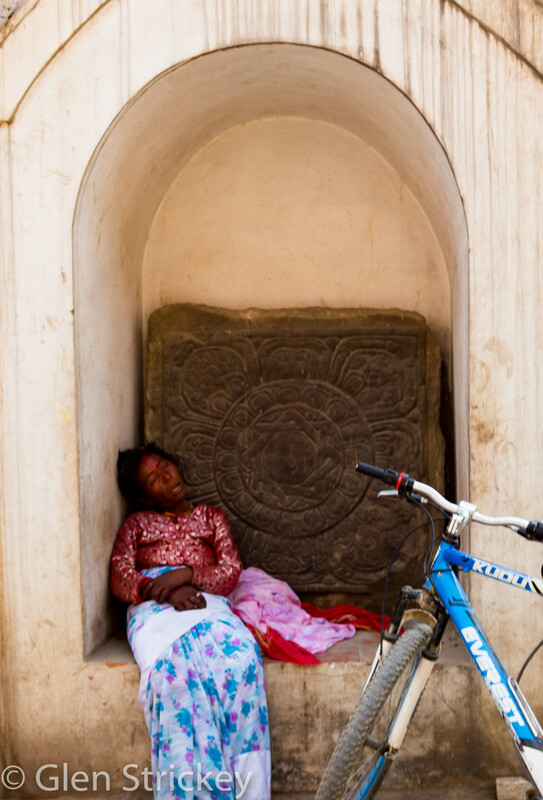 The two day event to get to Nepal (Halifax-Toronto-Amsterdam-Kuala Lumpur, Kathmandu) was really tiring. Sometimes we thought about the comfort of snow days back home! Finally arriving, sleepless, to the Kuala Lumpur airport, the check in and check out visa system was smooth but slow – getting fingerprints and photos taken takes time. Kuala Lumpur airport is huge and very modern! You have to take a train between terminals to enter or leave. Arriving at Kathmandu airport the visa immigration process was surprisingly fast and smooth (p.s. no need to bring extra photos with you, it’s all done there). The airport was not that chaotic as other blogs described, just a very long wait for the baggage( 1 to 2 hours)! There seemed to be a sale on TVs, and at least ¾ of the Nepalese people on the plane had a flat screen TV in baggage, plus lots of other packages. Eventually, our bags came. Our friend Hailey (thanks Hailey) put us in touch with a wonderful Nepalese guy named Meen. He and his brother were so kind to wait for 2 hours for us out of the airport to pick us up. What a lifesaver Meen and his brother were on our trip so far – their kindness, honestly, humour, and patience was unfathomable! 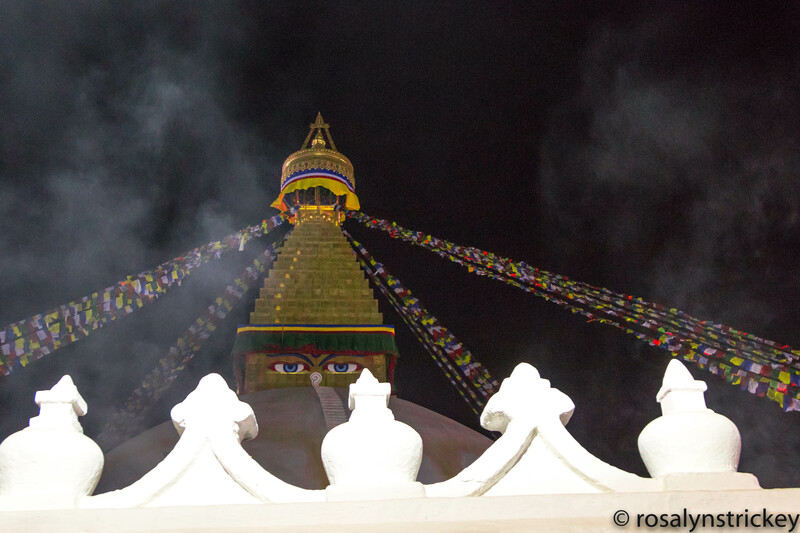 On arrival to Kathmandu, the drive to our area in Boudhanath (a district in Kathmandu) was beyond an adventure. Photos and video don’t do the busy streets justice! And most of the roads are under construction right now, so the dust is heavy and potholes HUGE! A face mask helped our lungs stay somewhat clean! 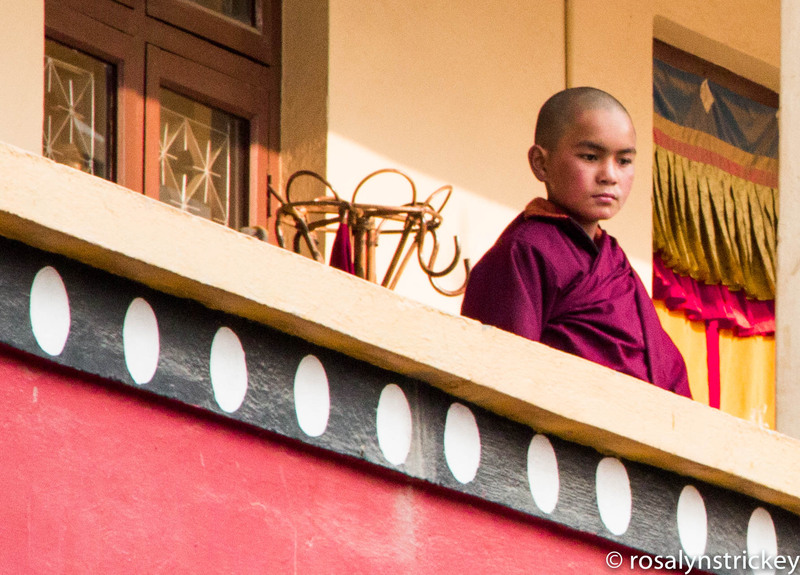 We stayed at the Shechen Guest House attached to the Shechen Monastery. 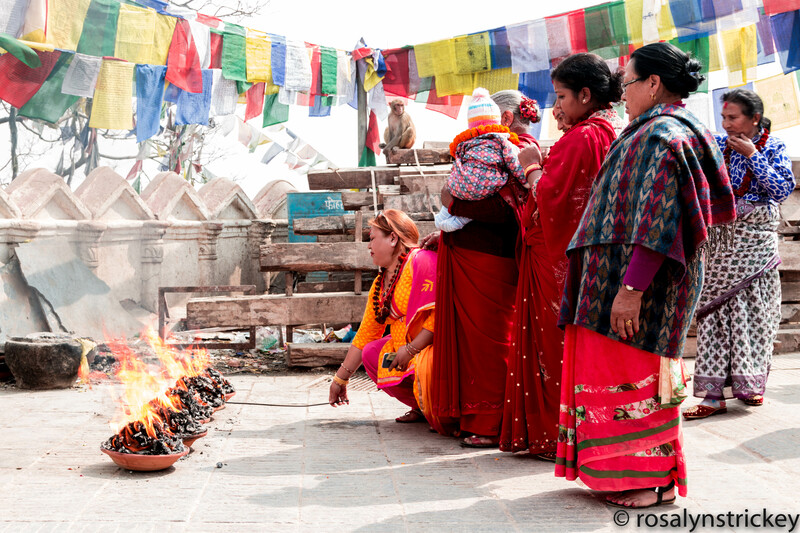 We highly recommend the area of Boudhanath, and staying at a monastery guest house (there are lots in the area). It’s so much quieter and the atmosphere is full of calm and peace. 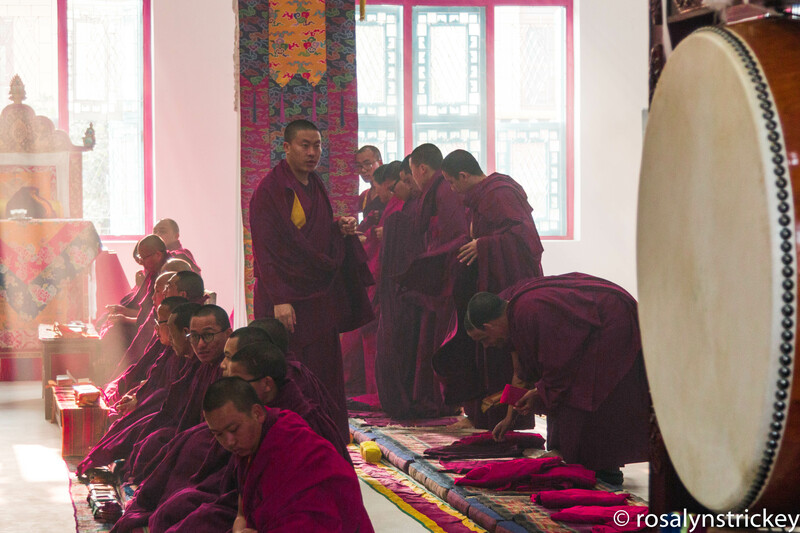 We had open access to the monastic grounds, temple, dharma wheels, and even could join in any of the ceremonies going on (they leave a schedule up at the Guest House and Monastery). Amazing experiences. One does wake up to an early morning gong, however! 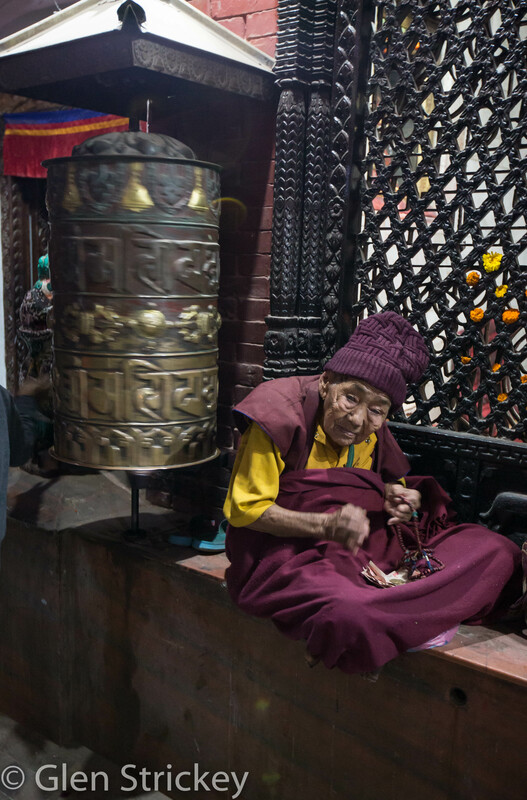 That night we explored the monastic grounds (e.g., Dharma wheels) and then went to the massive Boudha Stupa (said to be built in the fifth century and a world heritage site). 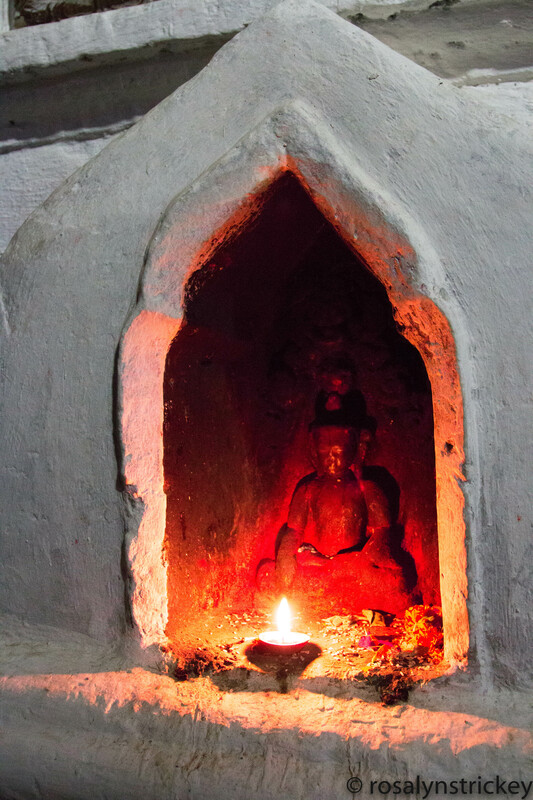 This Stupa was damaged by the earthquake (2 years ago) but now has been repaired. 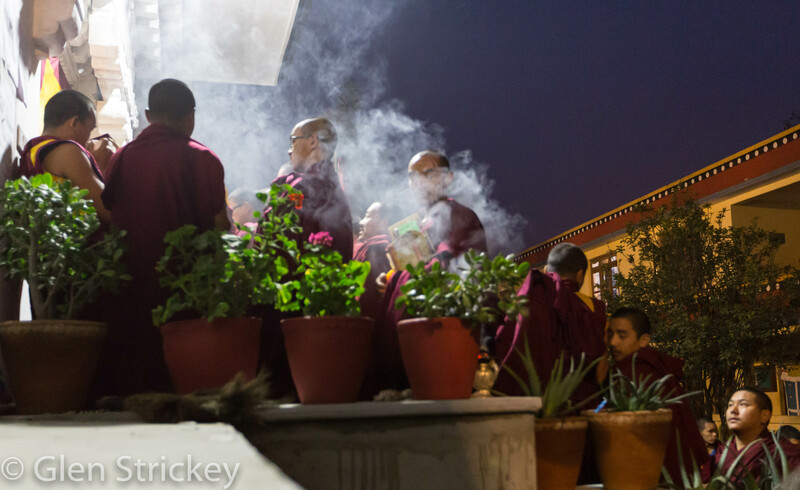 That night there were tons of people - monks, nuns, lay people, tourists – walking around the Stupa. 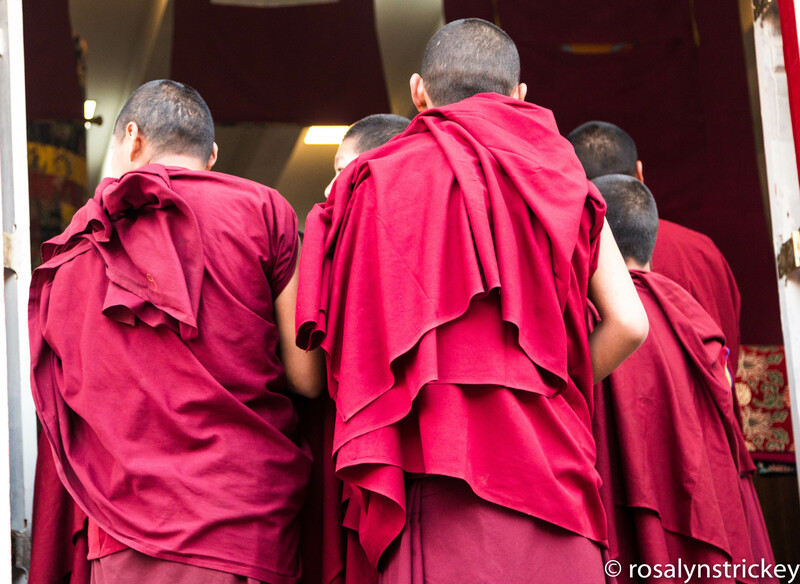 Some saying prayers or doing prayers (e.g., bowing, prostrations). For the amount of people there, there was such a sense of calm and contentment. 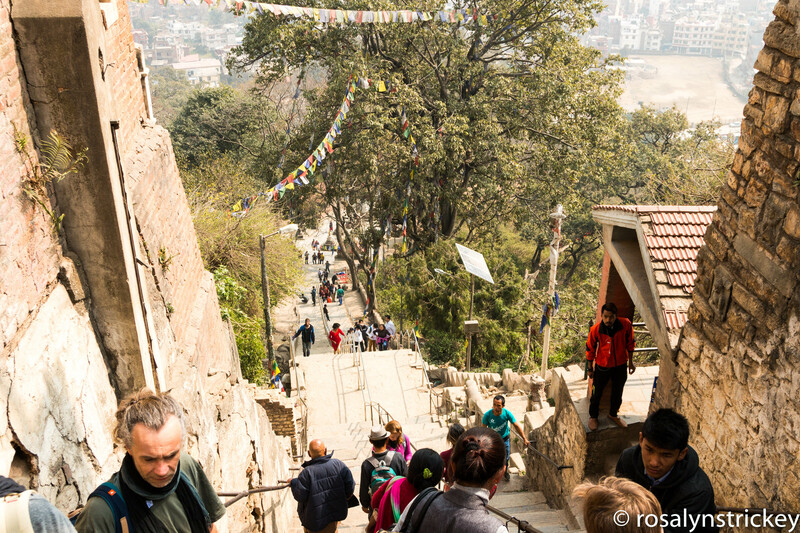 After this experience, we needed some food and went to the Paradise Café for some veggie momos, and continued our view of the Boudha Stupa. 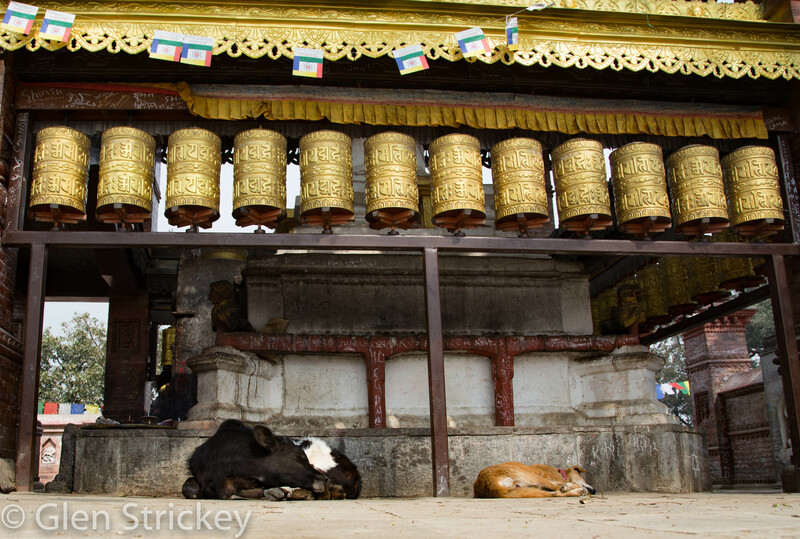 We eventually found our way back to Shechen that night and had a really sound sleep! 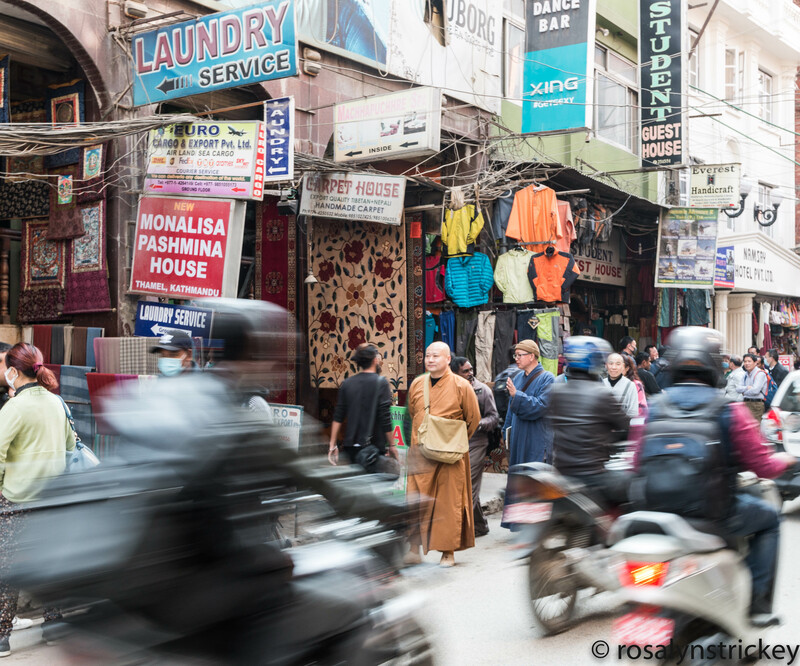 Some people stay in the district of Thamel – this is very touristy, busy, and noisy; but if you want to be where the action is that is a place to stay. But we were glad to be a bit away from the noise and extreme bustle. 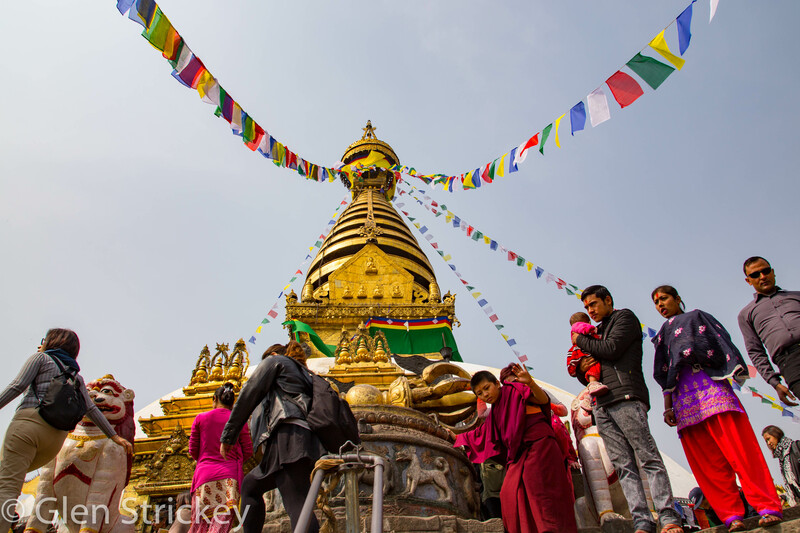 The next day in Kathmandu – we did a lot! 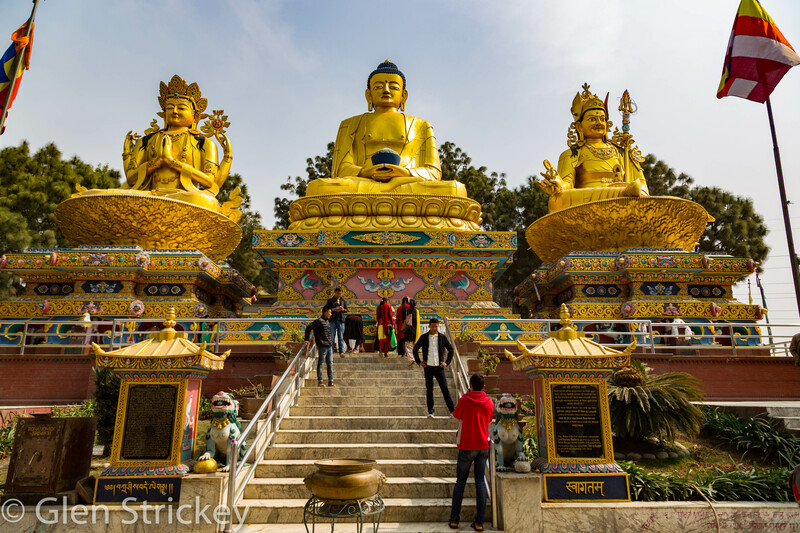 We arranged for Meen and his brother (Bala) to take us to a few places around Kathmandu. 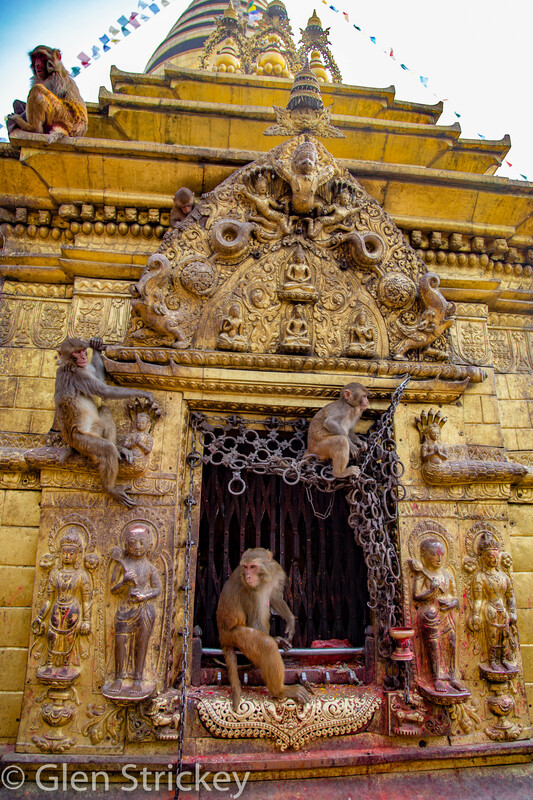 We saw the Monkey Temple (yes, so many monkeys you can trip on them), Buddha Park, and walked to and through Thamel (navigating cows, roosters, bikes, motorcycles, cars, many people, and other assorted vehicles). We went around, but skipped going into Dubar square. 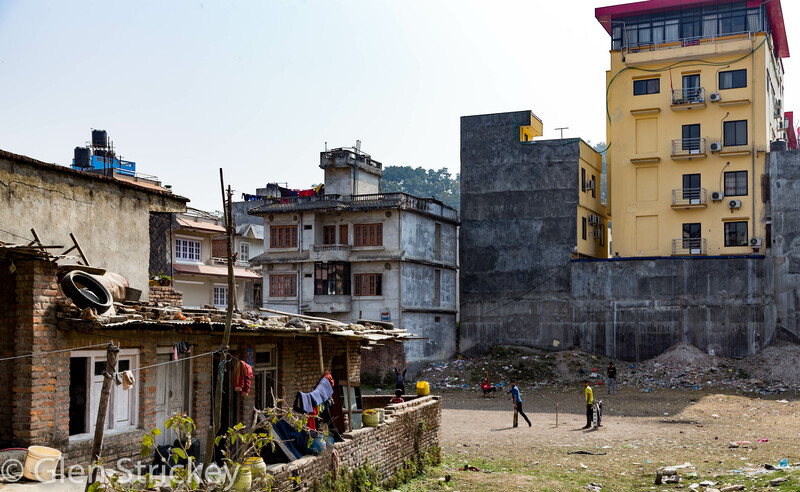 As we walked around Kathmandu we noticed the continued rebuilding of the city due to the earthquake. The devastation of that earthquake is all around. We actually met a couple (tourists) who were here two years ago during the earthquake. 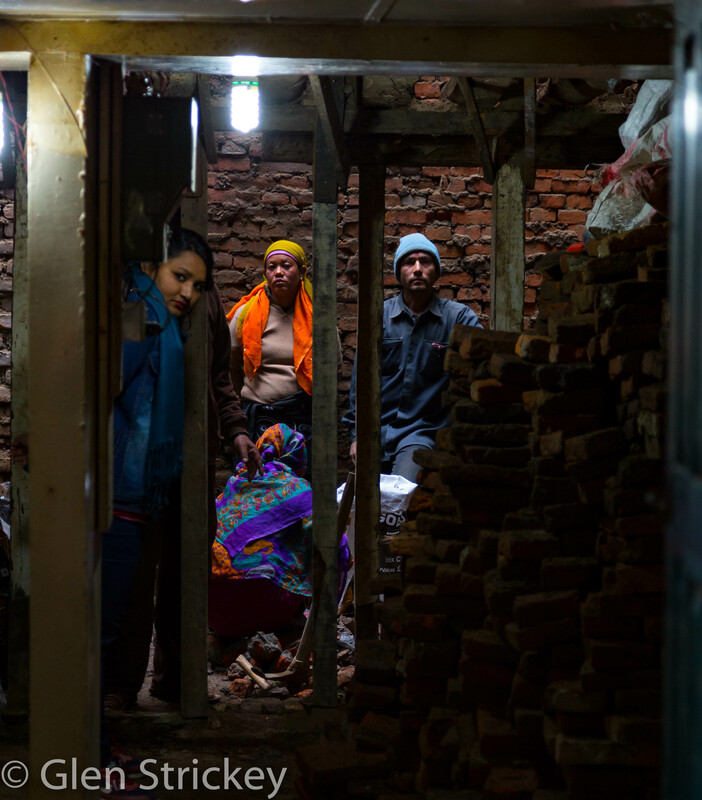 They were very emotional about being back and were in tears recalling the experience and seeing the devastation. After about 10 km of walking that day we returned to our peaceful Guest House and settled in (by the way the guest house has a really good and inexpensive vegetarian restaurant). 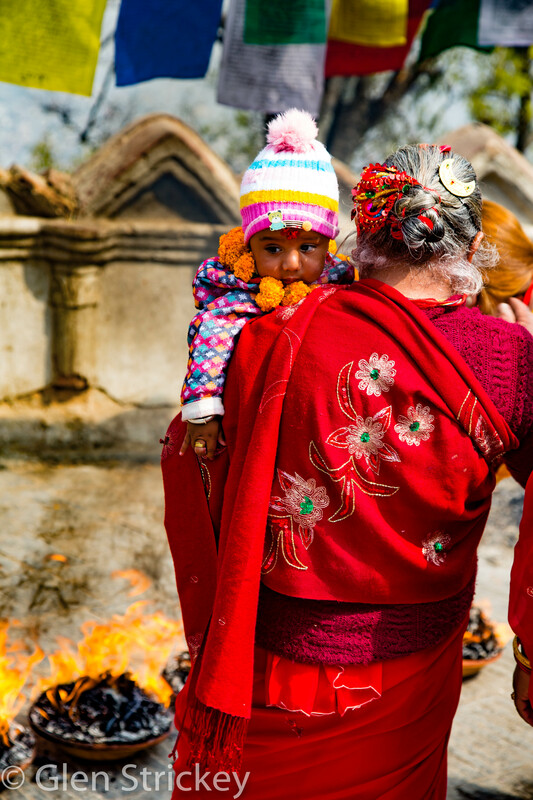 The following day in Kathmandu was our walking adventure to Pashupathinath to see the Hindu crematory; one of the important temples dedicated to Shiva in Hinduism. It was a very long, hot, and dusty walk but this was relieved by the extremely friendly Nepalese people saying hello along the way. 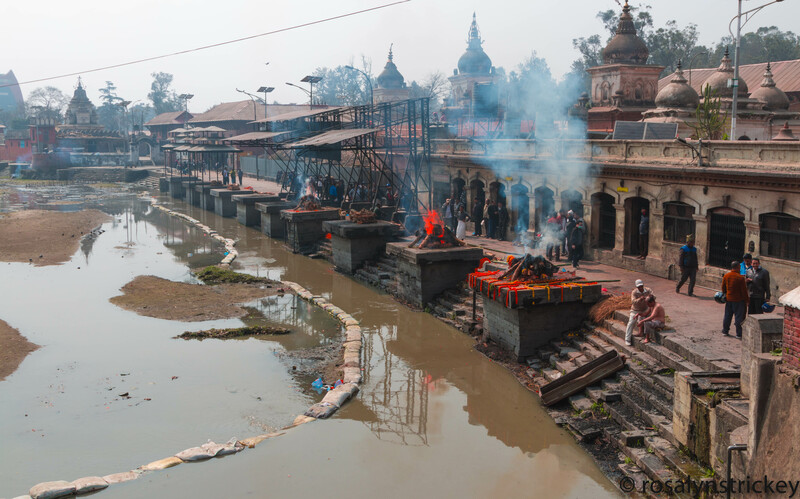 Once we arrived, we could not go into the temple (we are not Hindu) but we could go around the temple grounds (and saw many cremation sites) along with seeing crematory processes along the river. 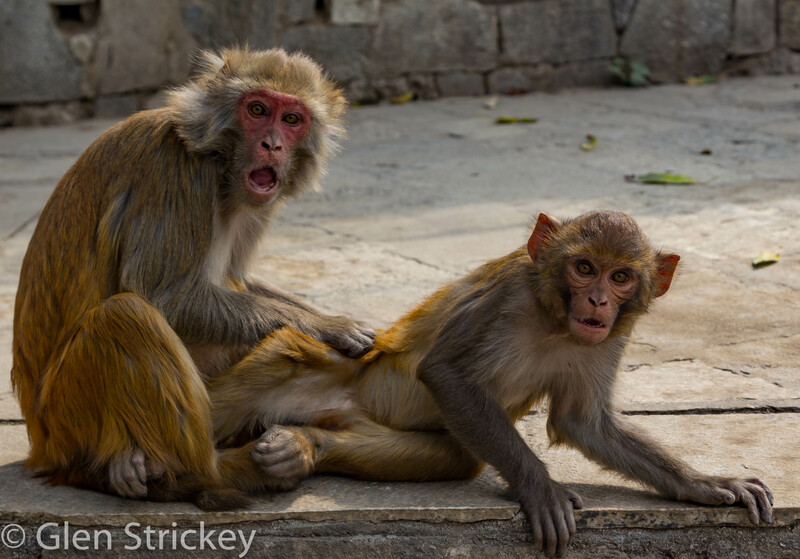 There were many Sadhus (holy men), visitors, and only few tourists. The journey back was hotter and dustier but again, the friendliness of the Nepalese people make these long walks seem so nice. We were even invited into a Hindu wedding ceremony! 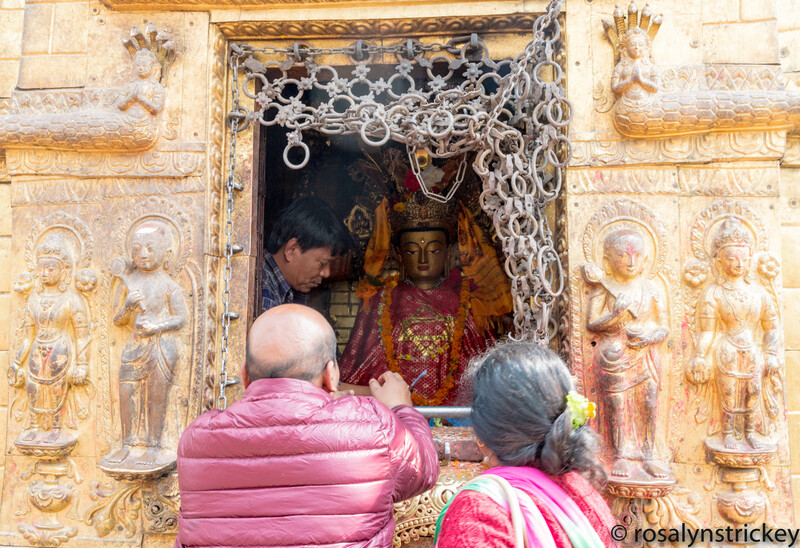 Over all the first few days in Kathmandu were made wonderful by the warm and friendly people; along with an atmosphere of a bustling and crowded place. We were so fortunate to have Meen and his family helping us out and becoming our new friends! Notes to travellers, there are admission fees to pretty much everywhere for foreigners (e.g., temples, parks, stupas, etc.). Bring a mask for dust and pollution, makes a big difference! ATMs charge a commission fee and the fees vary greatly (ask a local for the cheapest commission). Bargain for everything (e.g., taxis); luckily Meen negotiated for us significantly. 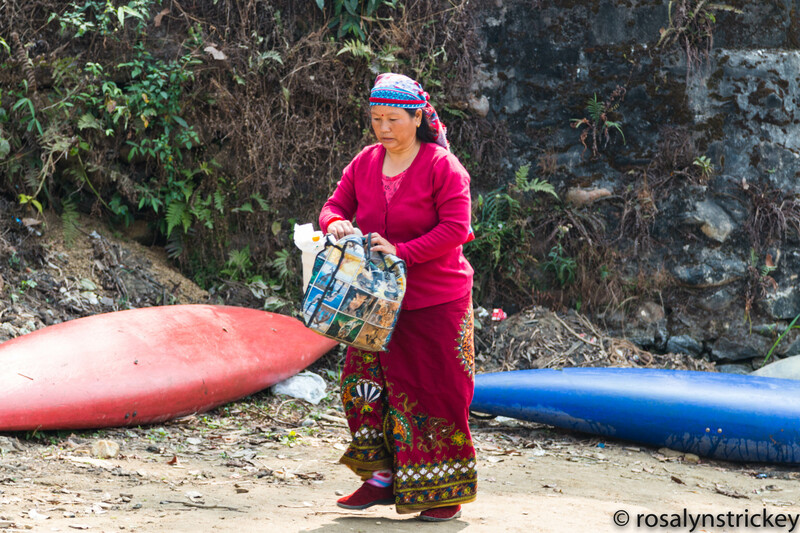 Nepal is of course not North America, the showers and bathrooms can be different – bring water slippers for the shower. Most people speak enough English and we could get around pretty easy. There are no street names anywhere, so directions are by landmarks.